Spring is here and it’s time for a some updates on our home. 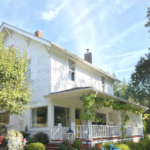 Here is Our 100 Year Old Farmhouse Spring Tour. 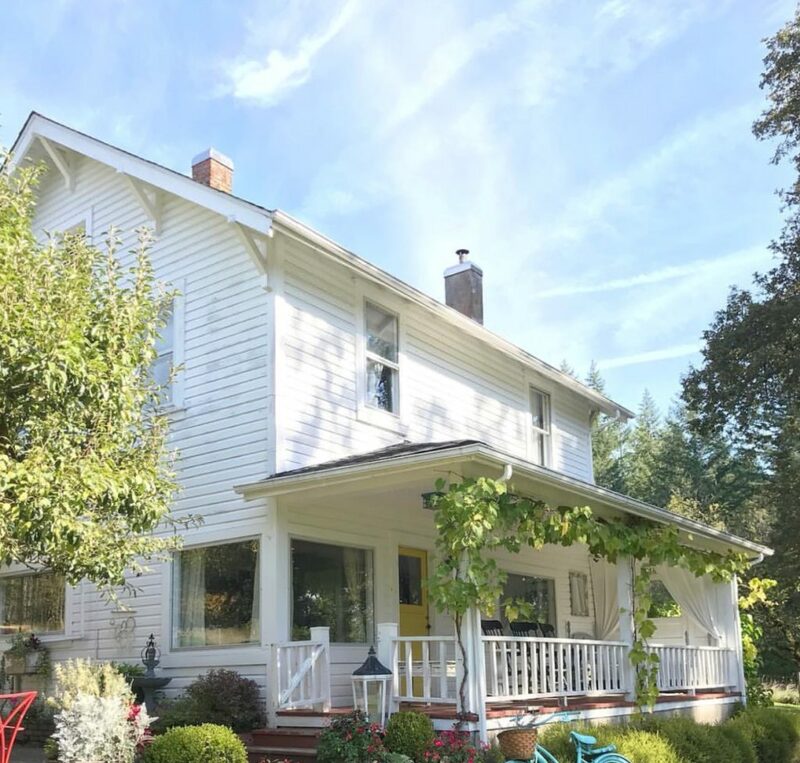 I fell in love with this home many years ago and when it went up for sale I knew it was meant to be. Now I’m here in my very old farmhouse! Now to share with your our Spring home tour! Onto the kitchen! I added a nice pop of color using pink. I will include affiliate links below so you can shop the post. 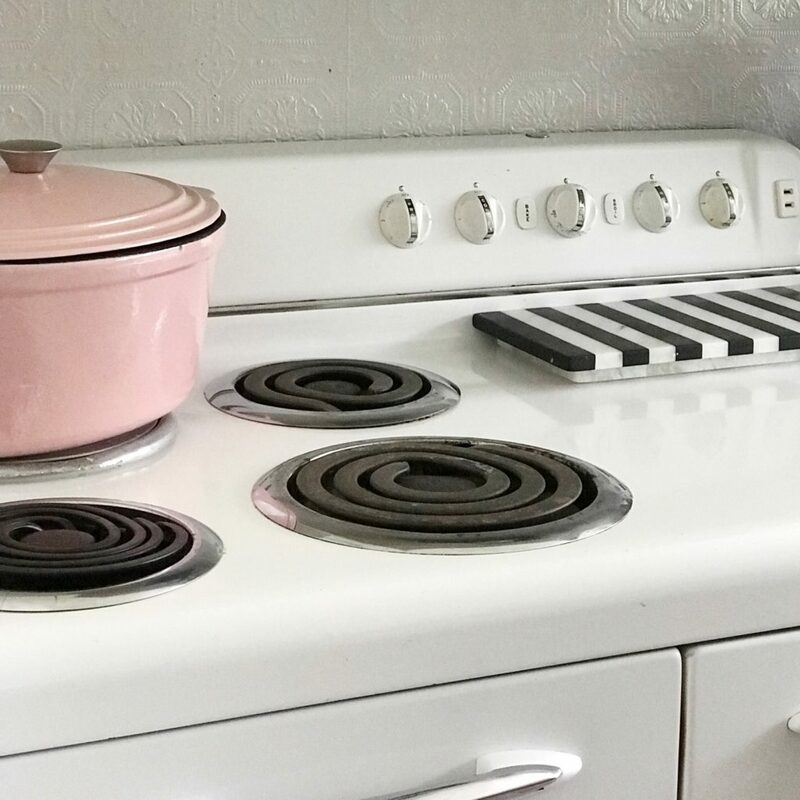 Read about how I add pink in my home. 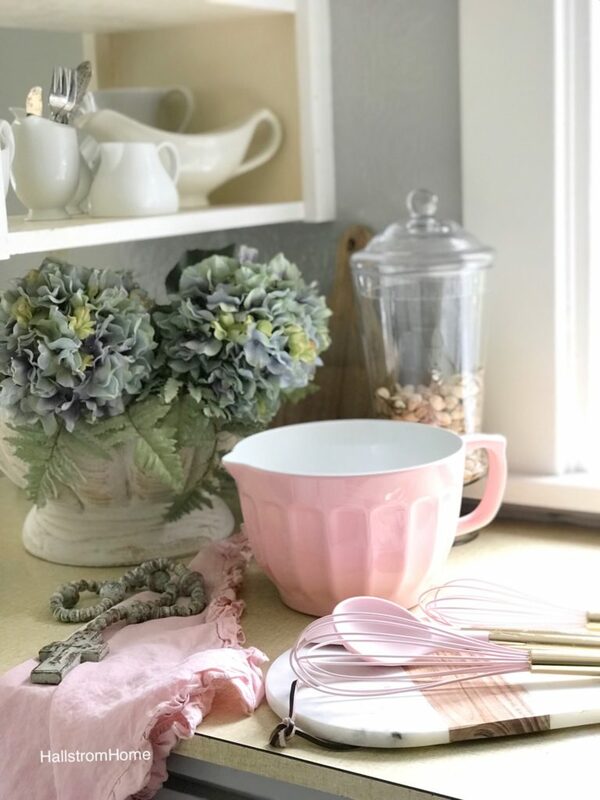 Find some of my most favorite kitchen products. The beaded cross can be found in my shop. 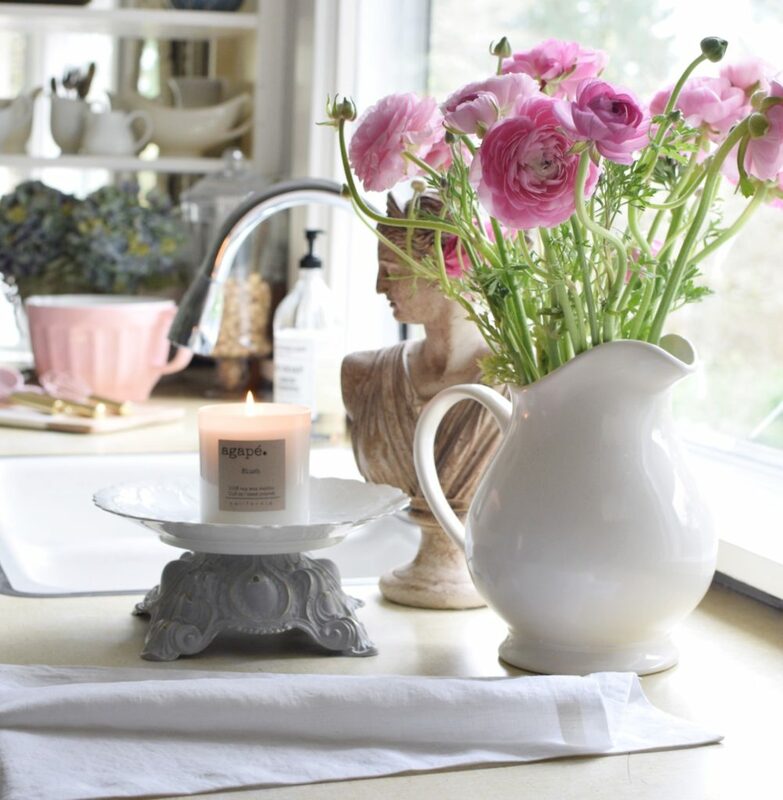 That cute ruffle linen towel is in my shop, it can also be used for a placemat! 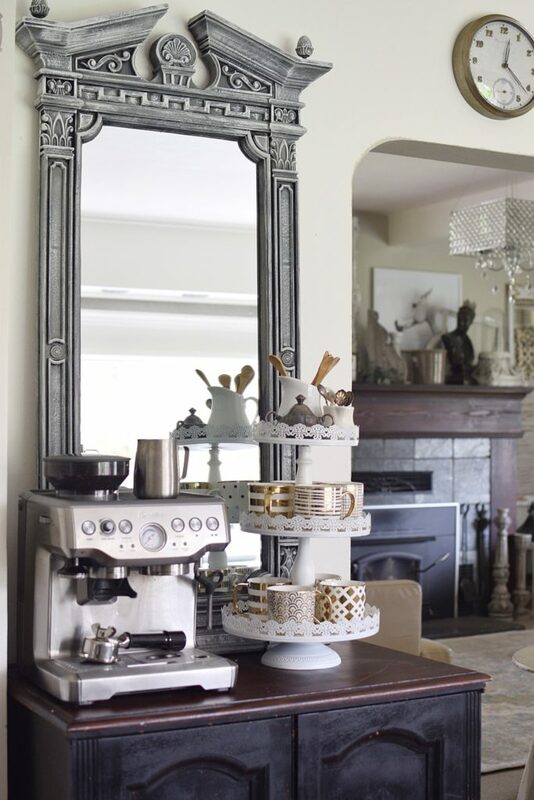 One of the most used spots in the house is our breakfast nook. It is where we eat most of our meals. I recently updated the table, I chalk painted our farmhouse table. I added a simple center piece with some floral to get that Spring look. 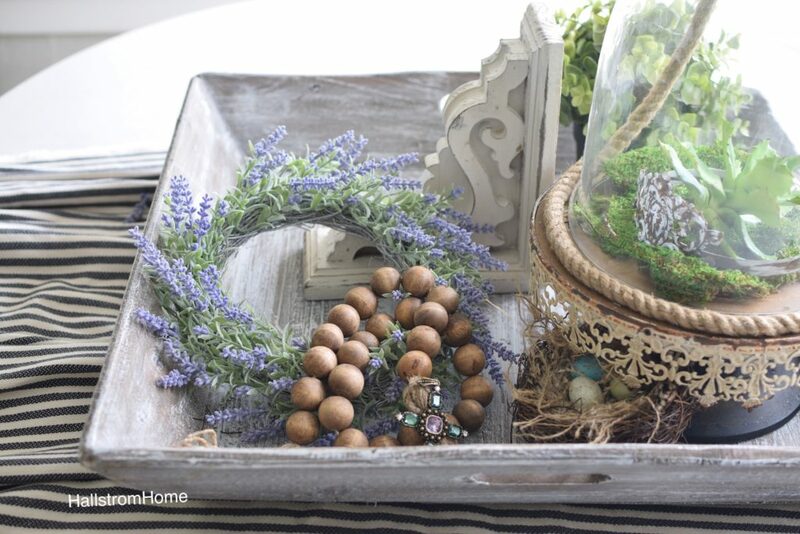 All of the decor in the wood tray as well as the wood tray is in my shop under farmhouse decor. But you have to check our the cool farmhouse corbels I also offer. I am the queen of keeping my blog posts short and simple. So this one is really goin crazy. 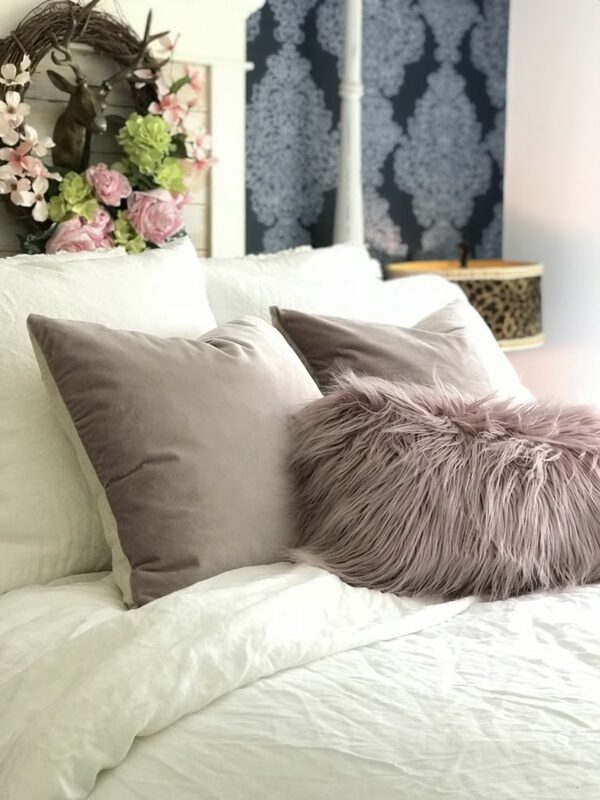 There’s just so much content I want to show you guys, so keep on scrolling for some amazing Spring decor! 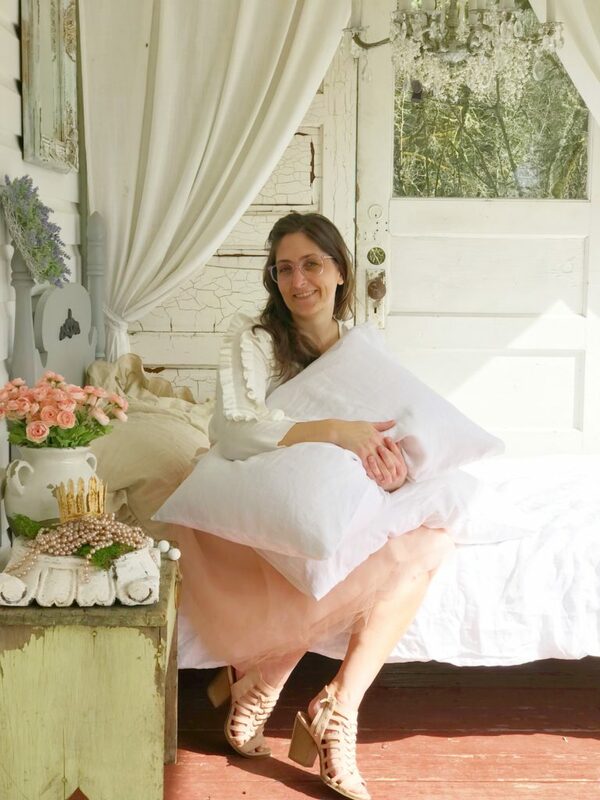 Find the urn and pillows in my shop. 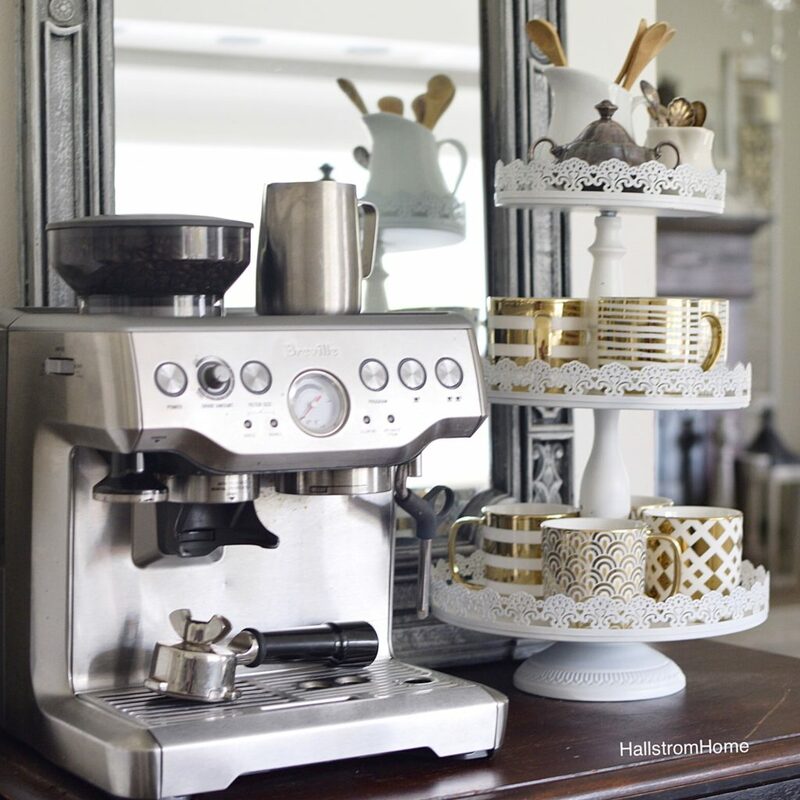 See that gorgeous armoire? It’s in my Etsy shop. 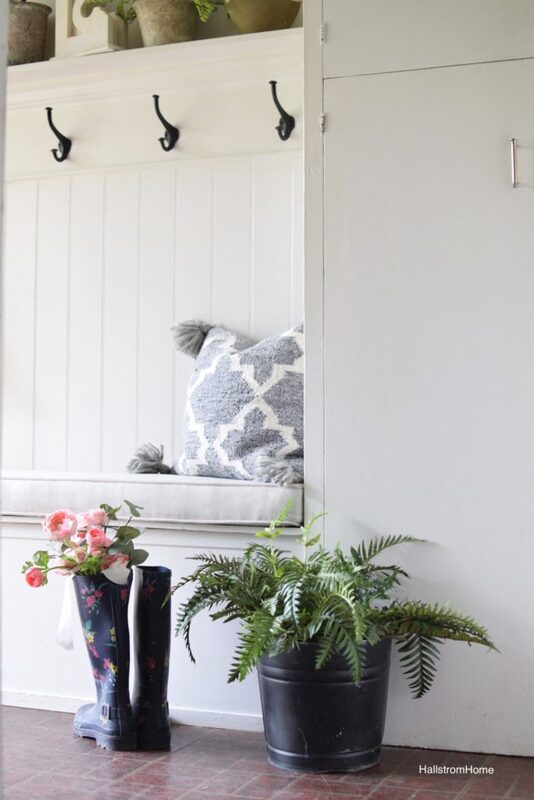 Onto the mudroom, this space is so much fun to decorate. Sometimes it gets a little crazy here, as you see on my Instagram stories! Yes, my chalkboard is dusty. I threw this look together really quick and didn’t have time for a cleaning. Daisy loves to be the center of attention, only if she’s getting treats of course! You can find this lovely chalkboard in my Etsy shop. I have a great corbel tutorial. 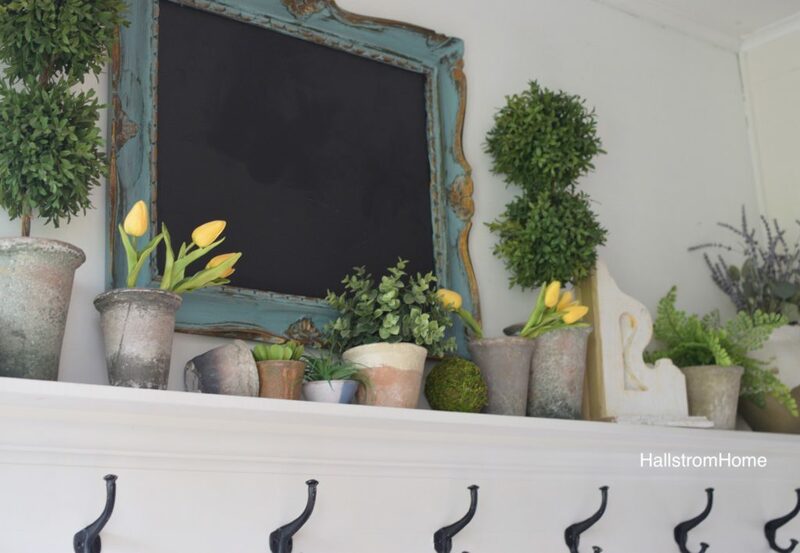 Check out another fun update I’ve done for the mudroom for the New Year. The napping porch is one of my favorite places. Daisy also loves to nap there! I did a fun mustard yellow with our linens to update the porch. You can find my linen shams in my shop. 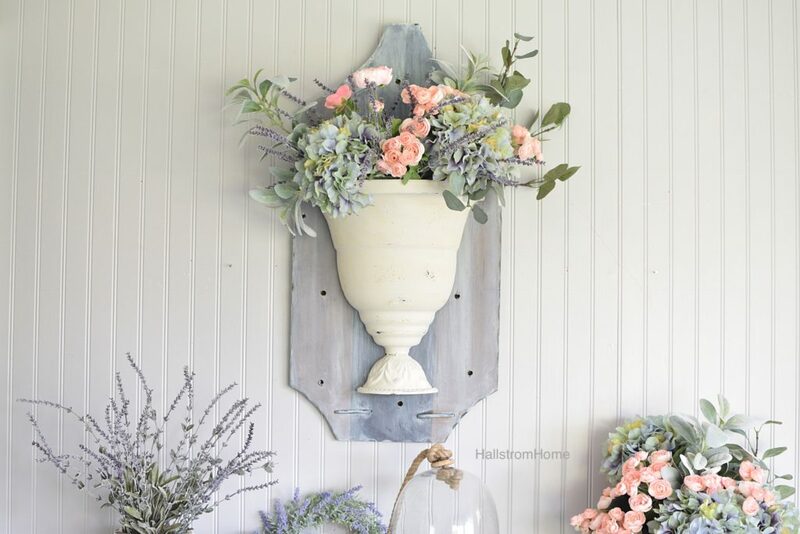 The pedestal and lavender wreath can be found in my shop under farmhouse decor. It’s time for my oldest daughter Alea’s room. I think it’s great to keep a simple and clean look for Spring. 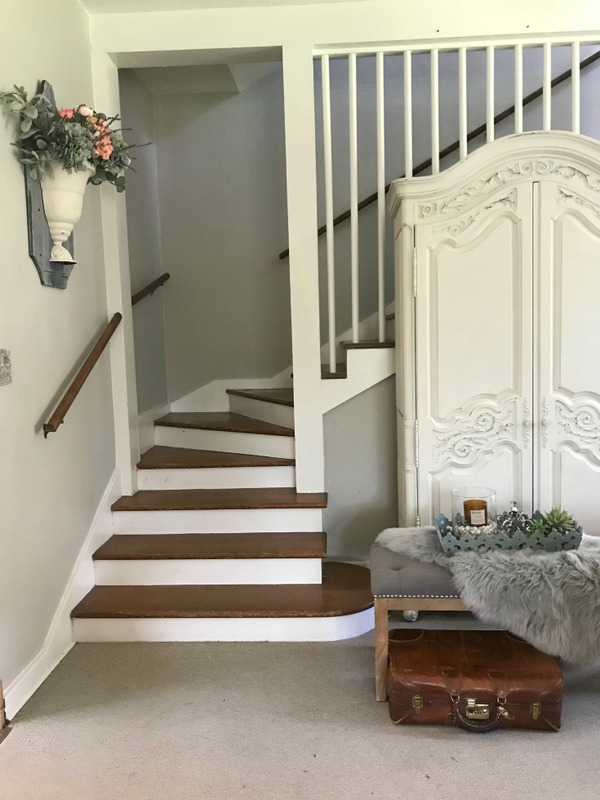 Read all about how I chalk painted her floors! 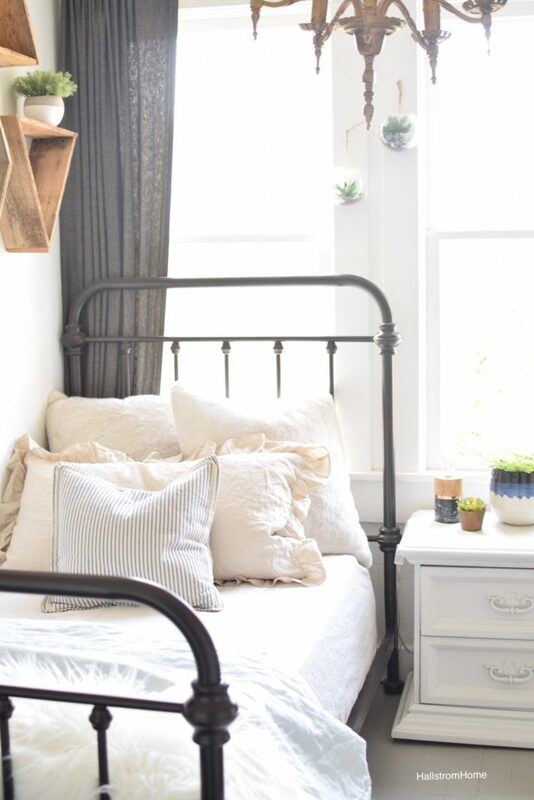 I made a cozy retreat for my Spring bedroom. I went with a pop of color using a blush purple. 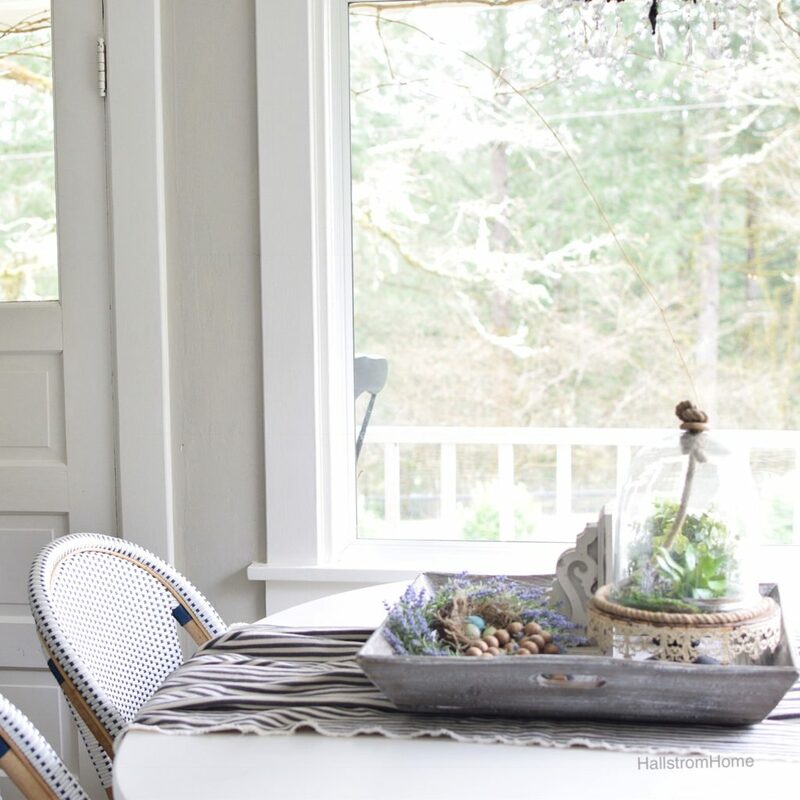 I have part two of our Spring home tour. 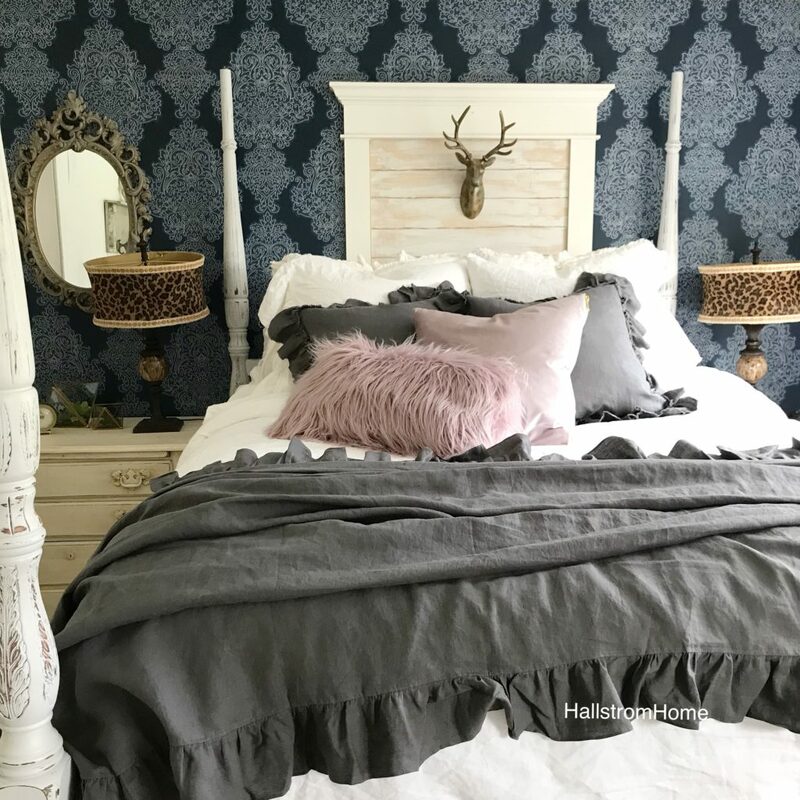 Check out 5 different ways I have updated my master bedroom. I’m so glad you could join me today! I’d love to know what your fave part of the house was! Thanks for the tips…you’re amazing ♥️???????? Thx so much Lynda! Just love an old farmhouse! LOVE….LOVE….LOVE the pictures! Miss Daisy is ready for spring also! You still look like you are in your early 20s…good gens. 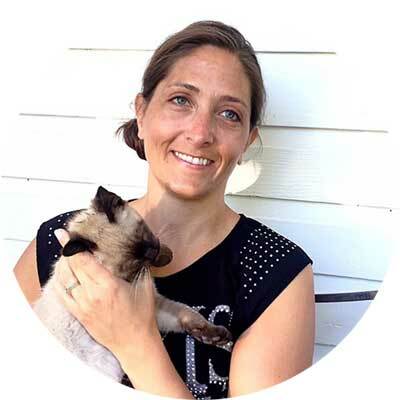 Rhonda… your home is amazing!! 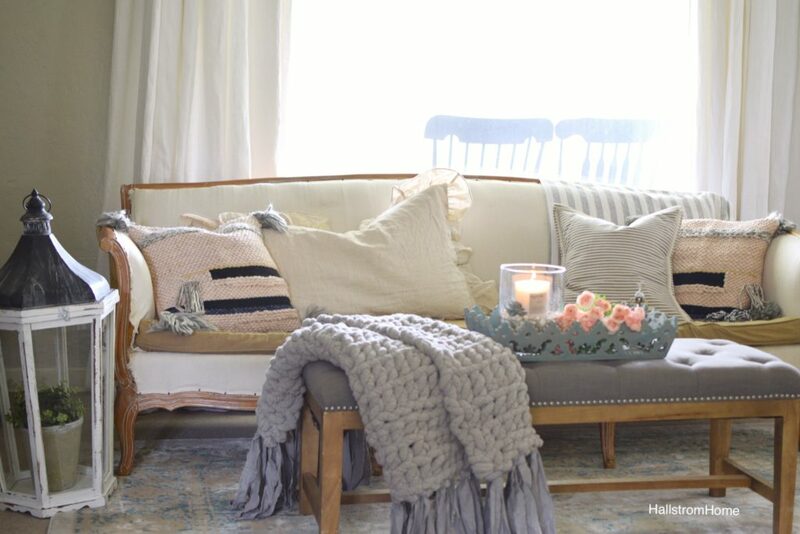 Everything is just so cozy and chic! Love it so much!! It all looks SOO gorgeous my sweet friend! You always are such an inspiration to me! You are one busy and talented lady! 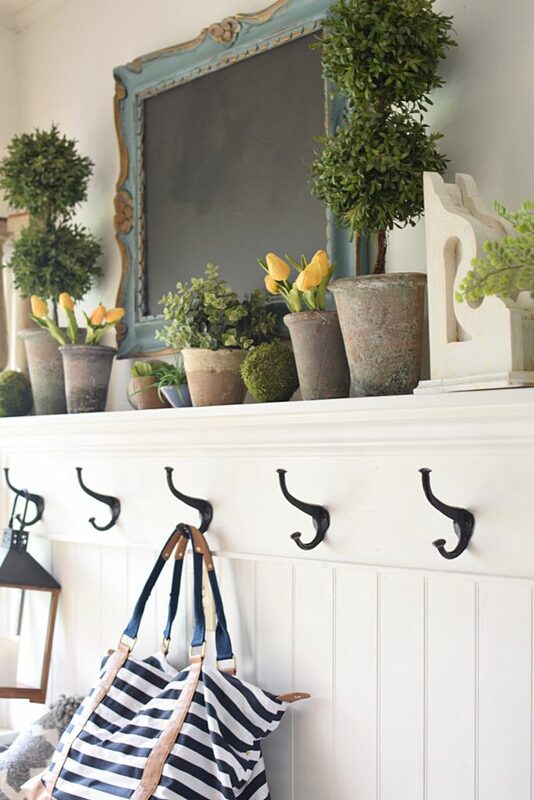 I always love peeking into your gorgeous farmhouse home. It is so relaxed and yet elegant. 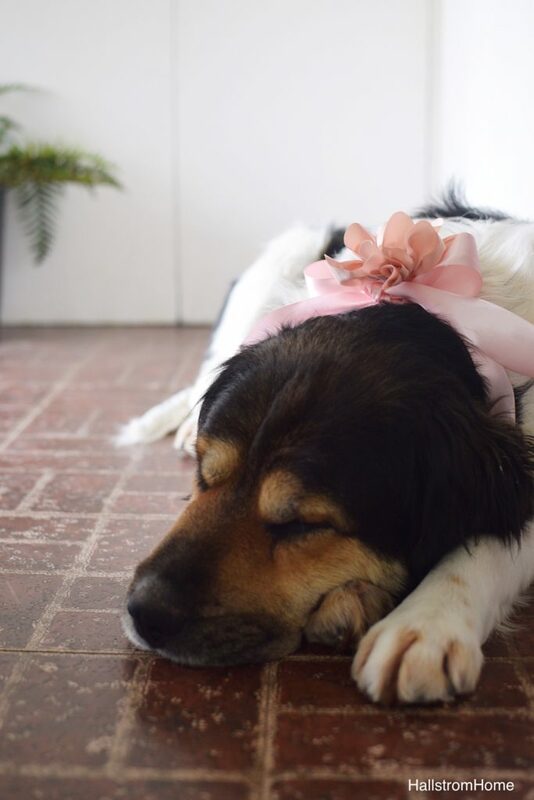 Every detail is perfect even down to Daisy’s pink bow. Thanks so much for joining our blog tour! Rhonda everything is so perfect! Down to that sweet pup! Loved the touches of pink. Oh Rhonda, I adore your beautiful home! I love your pinks sprinkled throughout; and your use of wood! 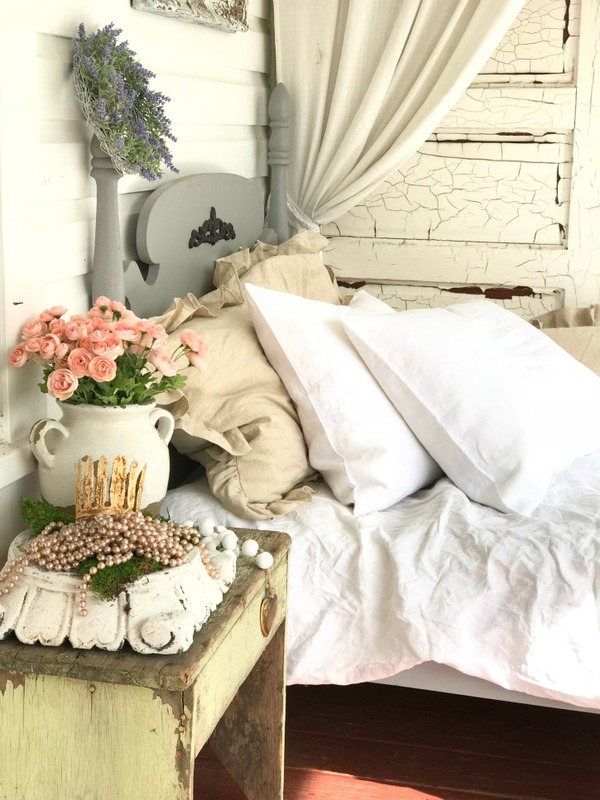 Your bedding is gorgeous and I always look forward to seeing your linens used in your home! Happy spring my friend! Always such a beautiful blog ???? 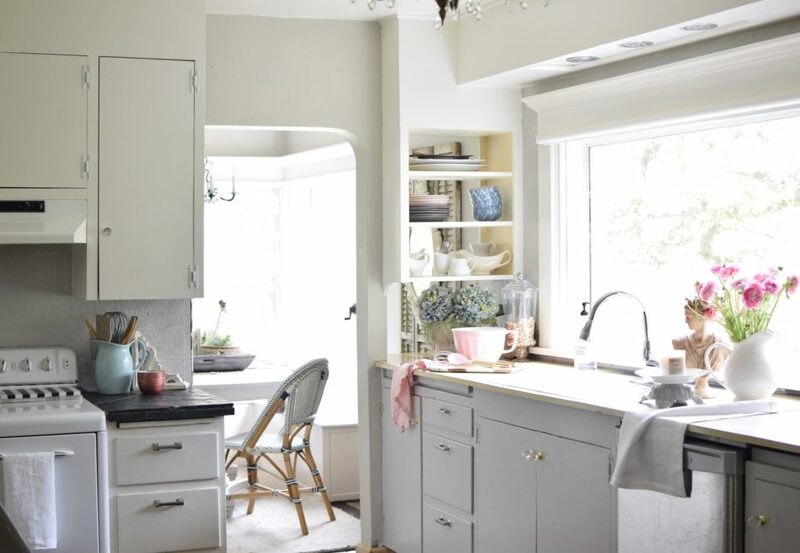 Rhonda, I love your home full of character, warmth and vintage goodness. My fav pic is of you though!! You’re a doll. Love your home and you, friend! Thanks so much Yuni!! You are the sweetest.